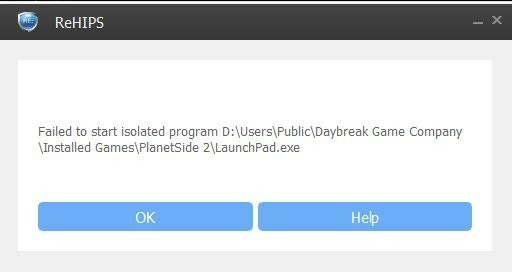 Failed To Start and Failed to create user environment ! Re: Failed To Start and Failed to create user environment ! Hello, maskelilincoln. Welcome to our forum and thank you for your interest in our product. Could you please provide more details? Does DeployHelper always show this error? Does any other ReHIPS component show this "Failed to create user environment" error? What OS do you have? Any other security tools installed? Anything unusual in configuration, like it's a domain PC?